In Wine of the moment. I’ve long been an admirer of Pierre Gimonnet‘s champagnes. 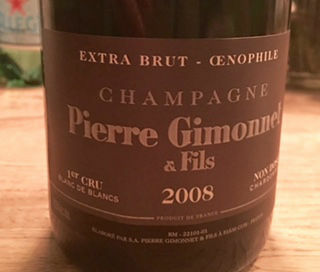 So much so, in fact, that I’ve come to think of the non-vintage Cuis, a blanc de blancs made from grapes grown in 1er cru vineyards, as our house champagne. I like the idea of buying grower’s champagnes rather than grand marque wines. It makes me feel like I’m championing the underdog (despite the fact that I’m aware that many producers of grower’s champagnes are hardly down to their last centime). I also feel that I’m getting a bit of a bargain, despite the fact that grower’s champagnes are seldom discounted in the same way that grand marque champagnes often are, especially at this time of year. Gimonnet is based in the Côte des Blancs, which means that most of their wines are based on chardonnay. I’ve come to love their hallmark style, all purity and bright acidity – characters I increasingly find myself seeking out in a bottle of fizz. But while the standard NV Cuis is the wine I buy when I’m hosting a small party, tonight it’s just going to be Mark and me – and a large seafood platter, featuring oysters, prawns, clams and a lobster, not to mention the small pot of caviar my mum gave us as a Christmas present. The gastronomic line up called for something equally special on the wine front, so this year we’ll be tucking into a bottle of one of Gimonnet’s premium champagnes. According to the label, the Oenophile cuvée is Extra Brut, but due to the peculiarly elastic system of labelling associated with sparkling wine dosage (the amount of sugar added to the wine at bottling in order to balance its acidity), the Extra Brut category can include wines without any dosage at all. The Oenophile is, indeed, a zero dosage wine. 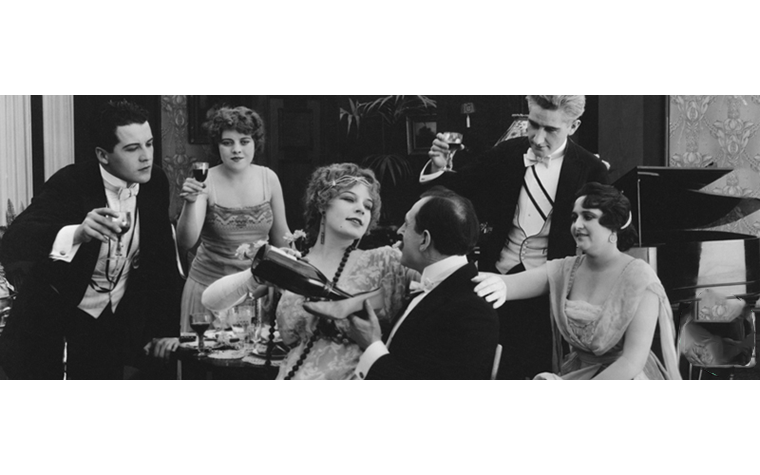 There was a brief enthusiasm for zero dosage fizz a few years ago, but because of the extra ageing necessary to flesh out a zero dosage wine’s mid-palate, good examples are not terribly economical to produce. This one, though, has spent at least five years ageing on lees, which gives it a real sense of depth and a toasty richness that helps to counterbalance the rush of sherbetty citrus acidity delivered by the chardonnay grapes. Unlike the Cuis, the Oenophile is mainly based on grand cru grapes (33.5% of the blend comes from Cramant, 32.5% from Chouilly and 10% from Oger, all celebrated grand cru sites), and this helps to add a hint of smoky minerality to the wine’s layered flavours of white blossoms, lemon zest and crunchy green apples. I loved the bottle I tasted earlier this year, and I can’t wait to open the bottle we have on standby for tonight. I think it will go down a real treat with all our seafood – but I doubt we’ll have any left in our glasses to toast the New Year come midnight.